Pulse-Flow respirometers can be used to assess biomass activity for aerobic and anaerobic reactions. In aerobic tests, cultures are combined with nutrients, trace minerals, and an organic substrate – such as acetic acid or ethanol. The maximum oxygen uptake rate reflects the amount of active biomass in the test culture. Paques has a very interesting position in the bio-energy sector, being both: Supplier to the bio-energy industry and Producer of bio-energy. Companies and municipalities have to remove nutrients from their effluents - such as nitrogen and phosphate - before they can reuse the water. There are also strict discharge limits on the nutrients levels that must be met. Paques has a number of technologies that can deal with these requirements. 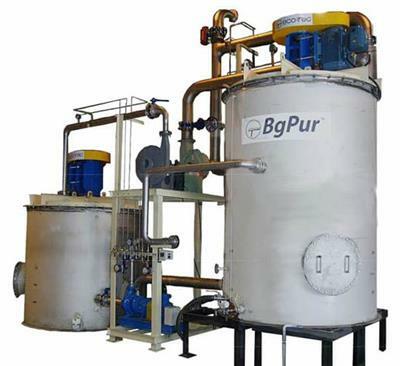 The first UASB pilot plant was installed in the 1970’s at a beet sugar company in The Netherlands (CSM suiker). Thereafter, a large number of full scale plants were installed throughout The Netherlands at sugar refineries, potato starch processing plants, and other food industries, as well as paper recycling plants.